The New Year is almost upon us. In a couple of days we’ll be staring up to the sky witnessing the explosion of colorful fireworks, while reminiscing the good days this 2011. But with a New Year comes new things, and what better way to start the year than to buy that home you’ve been planning on for years. One of the best ways to assess the competitiveness of a mortgage provider is by comparing their rates to the national average. As of today (December 27), the national average for 30 year fixed mortgage rates is at 4.12% which is higher than Ever Bank’s rates. Aside from that, the national average for 15 year fixed mortgage is at 3.77% which is again higher than Ever Bank’s rates. However, past data shows that on December 23, the rates were 3.91% and 3.21% for the 30 year FRM and 15 year FRM respectively. Ever Bank’s rates are competitive today, and may continue to be so if the mortgage trend is going up. However, these rates are already good enough to lock into also considering the reputation of the bank who is offering it. 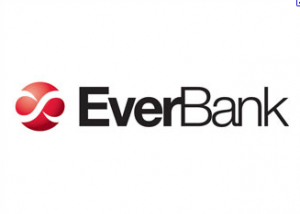 Ever Bank has origins back in the 1960’s and since then has been growing strong. Since 2002, the bank has demonstrated an asset climb of 500% over the decade and it continues to be one of the most financially secure banks in the country. The bank has been rated 4 stars by Bauer Financial.